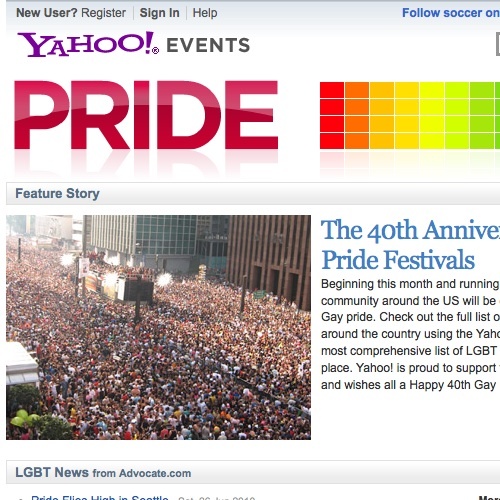 Yahoo gave me my first personal email address (which I still use) and taught me how to search online. But I now almost always begin my online searches with Google (as do most people). 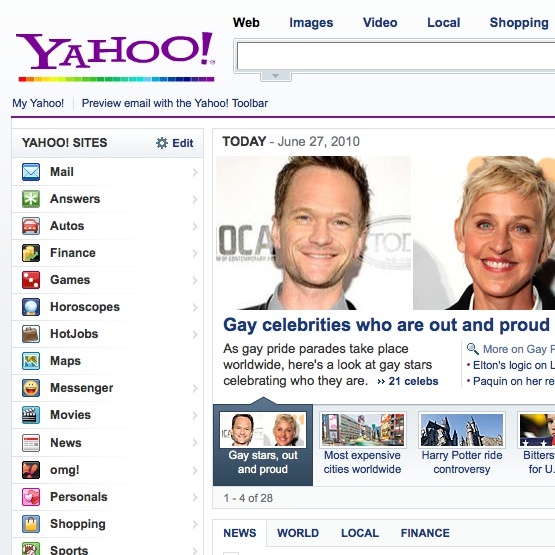 Despite their rivalry, I love both Yahoo and Google. And since both companies have now become players in the news business, I believe they’re fair game to discuss on this blog. Cool, I thought, let’s see what’s happening for Pride at Google, the leader in logo changing on their homepage for all sorts of events. I can’t wait, I thought. Well, I saw no Pride on the Google homepage. And I’m disappointed. Just sayin’.